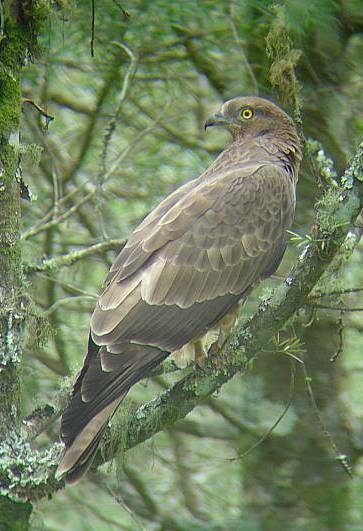 .....Click here to view photos of recent twitches. We regularly see on SA Birdnet details of rarities and unusual birds and hear stories of birders who travel vast distances to see birds for their regional lists. So, who are these people and what drives them to spend large amounts of money and push themselves to the limits of exhaustion driving long hours to see a bird which they may well already know from other parts of the world. What birds are they prepared to go to these extremes for, and what extremes are they prepared to conquer? Ornithologist: A term regularly used by non-birders to describe people who are involved in bird related activities, and which implies a professional involvement. The use normally makes birders cringe, and very few birdwatchers describe themselves with this term, although a scientist (see below) could probably correctly use this term. Scientist: A person professionally involved in birding (in this case) and who consequently finds himself in the fortunate position of earning money from birding and being subsidised while birding in remote and exciting areas of the world, many of which are inaccessible to the average birder. 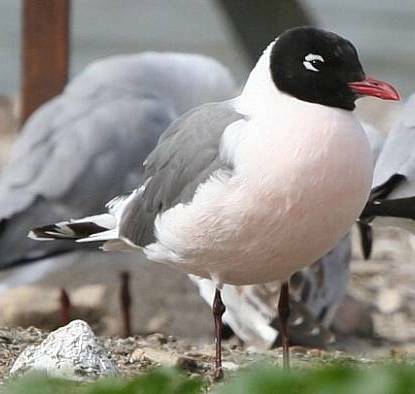 Consequently jealously regarded by other birders, although deeply respected by twitchers for the research carried out which sometimes leads to species splits. Birdwatcher: A broad brush stroke definition describing a person who gains enjoyment from bird related activities, whether just in the garden or local patch or further afield. Does not categorise the keenness of the birdwatcher or the intensity of the bird watching, and has a certain stigma attached to its use due to the plethora of "birdwatcher" jokes which are foisted upon one by non-birders. Birder: The popular term describing a person who is regularly active in the field finding, observing, counting and/or researching birds. Generally has been bitten by the "birding bug", and consequently birding is his major activity outside of work, especially when away from home. Will plan holidays specifically to maximise birding opportunities. Twitcher: A birder in all the good sense of the term during normal times, but responds with frenzied activity to news of rarities in his region, and will spend large amounts of money and travel long distances at short notice in order to see a rarity or new bird. 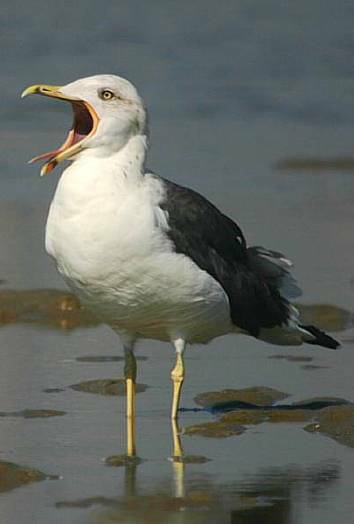 Consequently is the subject of scorn from certain birdwatchers who find this eagerness to see new birds distasteful. Is often accused (and sometimes guilty) of contravening the Code of Ethics in his desire to see a new bird. Due to his extra focus on rare species, it is the twitcher who very often discovers new or rare species in the region. Ticker (aka Lister): A person whose prime focus in birding is the compilation of his lifelist, generally in a competitive way. Has very little interest in spending more than a few moments with the bird, and once seen, shows little desire to see the bird ever again. Stringer: A birder who has built up a reputation in birding circles for identifying birds incorrectly, in particular with regard to claims of rarities. Twitchers think twice before chasing rarities that have been recorded by a suspected stringer. A stringer often has a large lifelist which is considered with scepticism by other birders. Difficult to prove that a person is a stringer, and thus birders are sometimes unfairly branded as such. Tour Guide: A birder who is making money out of showing other birders species in his region. Should know the region and its birds intimately, although this is not always the case. Is normally focussed on showing visitors as many as possible of the endemic species and specialities, and suffers great stress when the specials do not show themselves. Having defined, rather tongue in cheek, the above categories of birdwatching, we must hasten to point out that it is very rare to find a birdwatcher who fits snugly and completely into only one of these categories. It is far more common to find individuals moving freely and unashamedly between the categories, depending on the circumstances they find themselves in. Avid twitchers and birders have regularly confounded their many critics by contributing significantly to the furtherance of science with their observations, and are major contributors to the success of projects such as bird distribution atlases and waterfowl and wader counting projects. Serious scientists, often myopically focussed on their particular area of research, are regularly known to find some time off and chase after a rarity if the species is unusual enough. Tour guides, normally intent on looking after the interests of their clients, have often faced the dilemma of how to explain a last minute, spur of the moment change of schedule which miraculously ends up with an "unplanned" view of a regional rarity. And, although difficult to prove, I am certain that many lofty critics of twitchers have, when sufficiently tempted, sidestepped their standards and sneaked a look at an unusual visiting species, asserting the whole while that it means nothing to them. Many categories of birdwatchers are fiercely critical of competitive comparison of patch and regional lifelist sizes, but it is few birdwatchers that don't keep at least a private record of the birds they have seen and who don't get pleasure from seeing a new bird in the region or on their local patch. Rarity: A species that has seldom, if ever, been recorded in the region before. 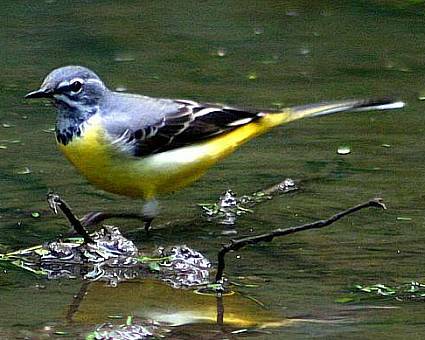 Often a migrant species that has overshot, reverse migrated, or been swept out of its range by abnormal weather patterns. Lifer: A species that is new to you, ie you have never seen it anywhere. SA Bird: A species that you have seen elsewhere in the world, but that is new to your Southern African list. Tick: A new bird on your list, once you have seen it. Can be either a lifer or an SA bird. Megatick: A very rare species which you have just seen. The "mega" is an attempt to convey the enormous excitement you feel. Dip: To miss a rarity that you have chased after. Leads to serious depression, and invariably to attempts to label the rarity as a stringy record in order to soften your disappointment. It is a common characteristic of twitching trips, especially long distance ones, that twitchers begin getting the dipping feeling within moments of arriving if the rarity is not immediately visible. This rapidly worsens, and eventually ends up with a numb acceptance at around the time that you can no longer delay your departure. Of course, the excitement of seeing a rarity is significantly enhanced if you have to search for a number of hours before eventually finding it. Stringy Record: A record of a rarity that has not been plausibly substantiated. Sometimes used as a rationalisation amongst birders who dipped the particular rarity. South Africa in recent years has had a number of rarities turn up which have captured the imagination of its widely diverse birding population, and which have consequently attracted large numbers of birding types to look for them. Numbers of birders attending rarity "gatherings" is steadily increasing, and it is now not unusual to encounter 100 or more birders at a time. 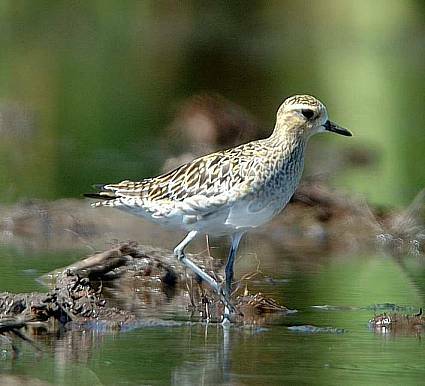 Indeed, celebrated rarities such as the Citrine Wagtail, the Cape Point Red-tailed Tropicbird, the Marievale Buff-breasted Sandpiper, the second Velddrif Lesser Yellowlegs and more recently, the west coast Great Knot and Leeupan Asiatic Dowitcher were seen by many hundreds of birders. Pride of place in terms of rarities must go to the Western Cape, which is blessed with steady streams of rare waders to Langebaan Lagoon and Velddrif, and which also has some of the best pelagic birding available anywhere. Some of the significant species seen in recent years in the region include Great Knot, Dunlin, Hudsonian and Black-tailed Godwit, Lesser Yellowlegs, Common Redshank, White-rumped, Baird's, Broad-billed and Pectoral Sandpipers, Grey, Red-necked and Wilson's Phalarope, Red-necked Stint, American and Pacific Golden Plovers, Caspian Plover, European Oystercatcher, Northern and Southern Royal Albatross, Grey-headed, Buller's, Salvin's and Sooty Albatross, Grey Petrel, Little and Balearic Shearwater, Black-headed and Franklin's Gull, South Polar Skua, Red-tailed, White-tailed and Red-billed Tropicbird, and White-throated Bee-eater, amongst others. Port Elizabeth has also turned up a lot of unusual birds recently, including Citrine Wagtail, Crab Plover, European Oystercatcher, Bridled Tern, Heuglin's Gull, Hudsonian and Black-tailed Godwit, Pacific Golden Plover and many others. In the highveld, Marievale has recently been well attended by rarities, including the now famous Buff-breasted Sandpiper, Pectoral Sandpiper, Slaty Egret, Black-tailed Godwit and European Marsh, Pallid and Montagu's Harriers and one cannot forget Leeupan with its crowd attracting Asiatic Dowitcher.. The Kwazulu Natal coast is renowned for its regular visits by tropical specialities, including recent Red-footed Booby, Black-naped Tern, Common Noddy, Greater Frigatebird, Streaked Shearwater, Matsudaira's Storm Petrel, and offers more tropical tid-bits the further one voyages northwards. Natal has also been the source of a number of historical records of mega-rarities such as Pied Wheatear. Is a scientist justified in shooting a bird in the furtherance of knowledge regarding that species? What if the species is very rare? How many individuals should be shot? Should one collect during breeding season? When ringing birds, does the small possibility of recovery of ringed birds justify the mortalities in the mist nets, in particular when netting over water? When trying to see or to show visitors or clients a particularly skulking or shy species, is the usage of tape recordings justified? How much does one play a tape when the bird is approaching but remains hidden? How much does one turn up the volume when this increases both the response of the bird and the potential disturbance to the bird? When looking for owls or nightjars, is the use of powerful spotlights detrimental to the bird? If one can approach to within metres by blinding and confusing the bird with the light, does the high quality view you have of the bird justify the increased risk of retinal damage to the bird? Does this even cross the mind of the person? When searching for skulking birds in marsh, thick grassland or dense forest, how much should one enter into the specific habitat of the species? Will you damage the habitat, and will that have a detrimental effect on the species? When following a bird you'd like to see well, are you deterred by fences and possible private property? Is it okay to cross a fence line if you think that nobody will notice? When you need to see a bird in flight to confirm its identity, are you justified in flushing the bird? 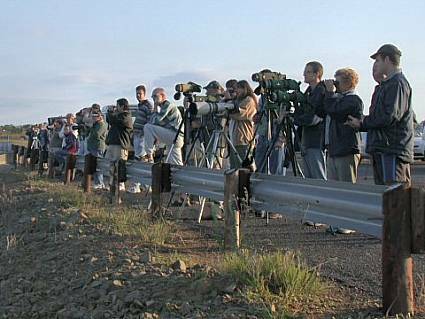 Does it matter that other birders might be on the way to look at the bird? We, the membership of BirdLife South Africa, believe that all birders have an obligation at all times to protect wildlife, the natural environment, and the rights of others. We therefore pledge ourselves to provide leadership in meeting this obligation by adhering to the following general guidelines of good birding behaviour. Only sparingly use recordings and similar methods of attracting birds and not use these methods in heavily birded areas, or during breeding season. Refrain from handling birds or eggs unless engaged in recognised research activities. Stay on existing roads, trails, and pathways whenever possible, to avoid trampling or otherwise disturbing fragile habitat. Support, by our actions, the responsibility of the group leader(s) for the conduct of the group. Learn and inform the group of any special rules, regulations, or conduct applicable to the area or habitat being visited. How well does one need to see a bird in order to tick it? Is it acceptable if someone who saw it better than you confirmed the identity? Is it necessary that you be able to identify the bird positively if you had seen it by yourself? Can one tick a bird if you don't see all its features, or if you just hear it call? The answers to these questions really lie with the individual, as a birder's lifelist is after all a record of what he considers he has experienced or encountered. It is therefore presumptuous to set down a list of rules, as each person will have their own set of standards as to what they consider acceptable in terms of the quality of the views they have of new birds. Having said this, if the person desires to use his list as a means of comparison with other birders he should of course comply with a common set of standards in compiling that list. v) observed under conditions that conformed to the ABA Code of Ethics. These rules coincide with the broadly accepted standards adopted by South African birders when compiling lifelists, and so could reasonably be used as guidelines for local birders. One should of course substitute the BLSA Code of Ethics and the Southern African Checklist, where appropriate.